OTTAWA -- Kinder Morgan Canada documents say expanding the Trans Mountain pipeline could cost the federal government another $1.9 billion beyond the company's original construction estimate and take another full year to complete. 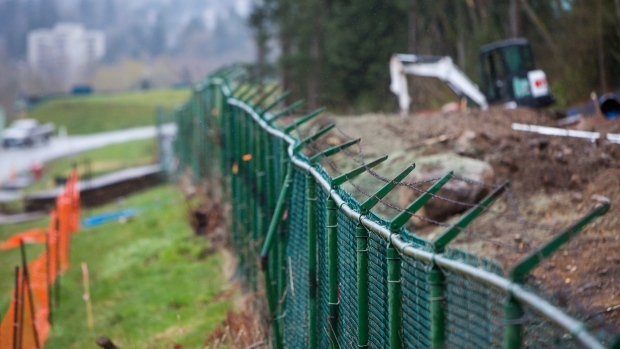 The figure is included in documents Kinder Morgan Canada filed Tuesday with the United States Security and Exchange Commission related to the company's plan to sell the pipeline to the Canadian government for $4.5 billion. The cost and completion figures come in a scenario analysis by TD Securities and don't represent new official estimates. Kinder Morgan has long said it would cost $7.4 billion to build a second pipeline parallel to the first in order to triple its capacity.